Mark Davies’ illustrated talk described the life of James Sadler (1753-1828), an Oxford pastry cook with no formal education, focussing mainly on his achievements as a pioneer in the earliest days of hot-air and gas ballooning in the last quarter of the 18th century - achievements which rivalled those of Montgolfier and other early balloonists. 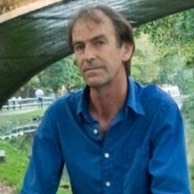 Mark Davies is a local historian, walks and river-cruises guide, speaker, writer and author of the first biography of James Sadler (1753-1828). Mark has previously given a talk to the Society on the Abingdon Turnpike Murder.